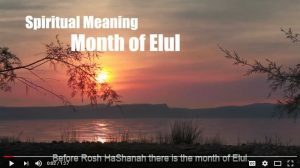 Before Rosh HaShanah there is the month of Elul. we are drawn to the revelation of the Creator. 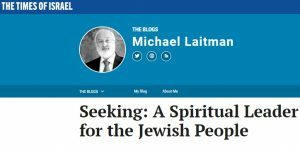 Among all the powerful, charismatic and innovative figures in the Jewish world, it is still missing a great, unselfish leader who is above materialistic interests, one capable of elevating Israel to be worthy of fulfilling its spiritual role in the world. Here is a bit of Jewish wisdom (Masechet Iruvin, 13b): “All who woos greatness, greatness escapes him. And all who escapes greatness, greatness woos him.” Such was Moses, the ideal role model for a leader. These days, remembering Moses’ unique leadership might be a good lesson for us all, everyone from you and me, and all the way up to heads of states. At the same time, Moses was the antithesis of a would-be ruler. He was anything but eloquence, he was an outcast among both Hebrews and Egyptians, and he often failed to understand God, whose message he was carrying. Anyone else would have given up long ago. But not him; he had the quality that we would love to see in today’s leaders: true, unselfish love for his people. His love enabled him to lead because it connected the people to him and to one another. Moreover, his love eventually implanted a new attribute in them—love of others. When they united at the foot of Mount Sinai, “as one man with one heart,” they became a nation. As long as they continued to adhere to the law of love, always aspiring to follow the motto, “love your neighbor as yourself,” they were able to sustain themselves as a nation. Like Mordechai in the book of Esther, Moses first unites the people, and thereafter they are rewarded with a miracle and eventual redemption. In the case of Moses it was exodus from Egypt and ultimate arrival at the land of Israel. In the case of Mordechai, it was the eventual return to the land of Israel after the “redemption” from Haman and the return from Persia. And yet, a society cannot survive only on egoism. It requires balance between giving and receiving. Moses taught the people not to fight their egos, but to rise above it and cover it with love, as in, “Love covers all transgressions.” Just as today we are losing the battle against our egos, therefore becoming increasingly self-centered, the ancient Hebrews could not cope with it. Instead, Moses taught them how to rise above it and establish a covenant of mutual love that facilitated a just and social model based on mutual responsibility. Indeed, a leader is first and foremost an educator. Moses educated his people toward loving one another and helped them connect above their egos. The Hebrews united around Mount Sinai, which gets its name from the Hebrew word, sinaah (hate). They did not destroy the mountain of hate between them, but sent the most pristine element in their midst, Moses, to climb the mountain, conquer it, and bring down a law (Torah) by which they would be able to establish love among them. And while the nation was being transformed, Moses was leading the way, always showing more dedication and devotion to his people than anyone else could muster. Thus, the perfect role model was also the perfect leader. Precisely because he had no desire to rule, no money, power, pedigree (being the outcast prince of the enemy), or even eloquence, but only one redeeming quality—love—he was the ideal leader. Indeed, only a leader who nurtures brotherly love instead of lust for power and self-esteem can succeed in Israel. 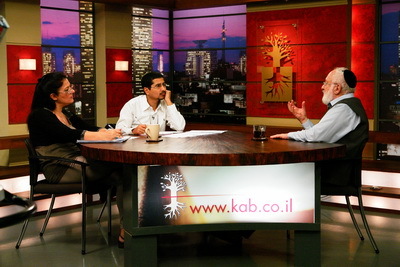 Israel’s success lies in its unity, and only such a leader can unite the people. If today’s leaders want to pull the wagon of the Jewish people out of the quagmire of anti-Semitism, they must first and foremost focus on uniting Israel. This will be the beginning of our true redemption—from our own egos. Until now, we thought we could build a healthy society through competition, but it has only led to waste in the army and in the health and education systems, etc. All the systems we had set up to serve us, including the media, have failed due to the intensification of egoism. We must become more efficient and reduce the cost of living or the millions of unemployed people in the streets will force us to do so. We are facing changes in mankind. Our operating software is being upgraded.